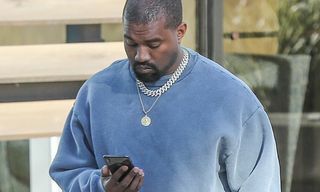 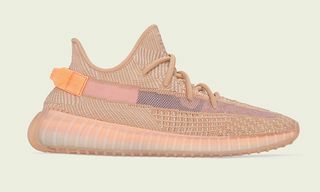 Key Features: Both sneakers are inspired by the Kelvin temperature scale and use contrasting cold and warm color schemes to emphasize the difference between the two models. 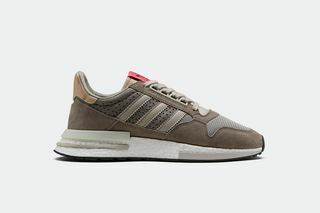 The ZX 4000 4D comes in a black and grey color scale, while the ZX 500 RM comes a hues of brown and taupe. 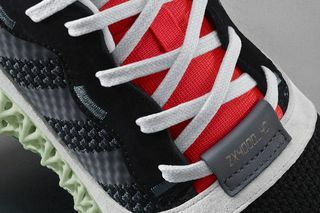 Both shoes also feature embroidered and printed graphics referencing each shoe’s Kelvin values. 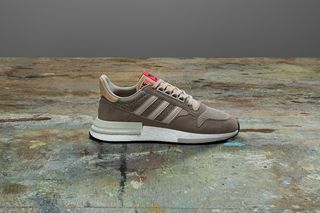 Editor’s Notes: adidas Originals today unveiled its latest special-edition Consortium release. 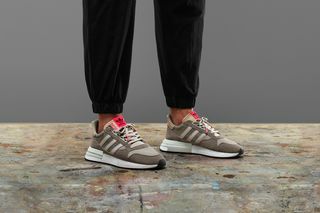 Inspired by the Kelvin temperature scale, the two-sneaker pack consists of the ZX 4000 4D and the ZX 500 RM. 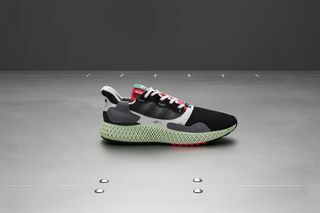 Both sneakers serve to highlight opposite spectrums of the manufacturing process. 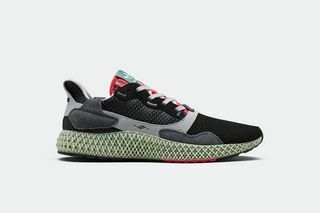 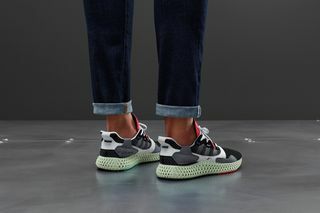 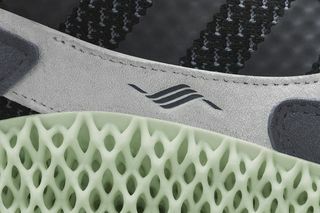 The 4D represents the modern, mechanical production, with its midsole being produced in adidas’ almost entirely automated factory in Ansbach, Germany. 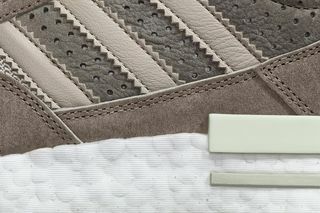 The RM is manufactured almost entirely by hand in one of adidas’ Asian factories and represents the traditional craftsmanship that goes into sneaker manufacturing. 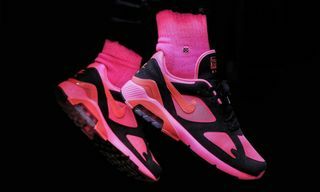 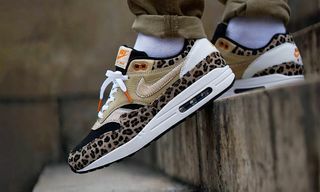 Both sneakers’ colorways also play into that theme. 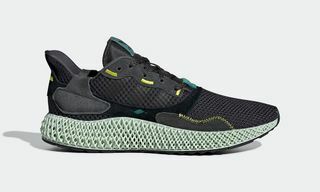 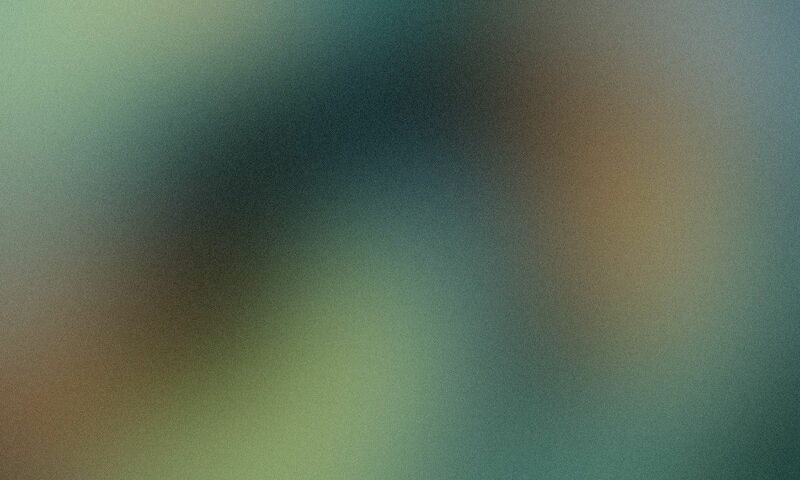 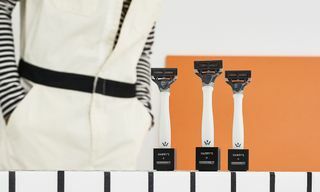 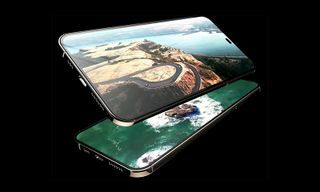 The 4D is black and grey, utilizing colors from the cold temperature spectrum of the Kelvin scale as the Ansbach factory is an environment with virtually no light, heat, or human manpower. 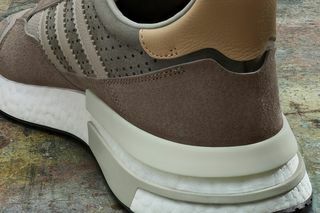 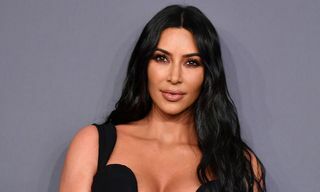 The RM, on the other hand, features warmer tones such as brown and taupe. 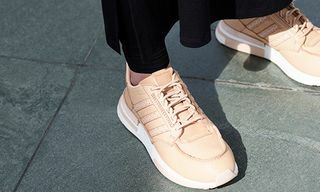 A full leather lining also serves to highlight the sneaker’s man-made manufacturing. 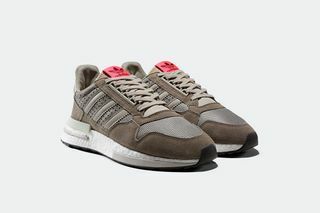 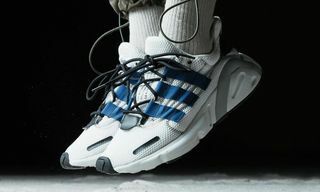 Both sneakers are part of the iconic ZX family, which has been around since the late ’80s and was at the forefront of adidas’ athletic footwear design for a very long time. 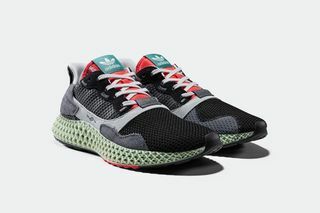 Old school ZX models were the canvas for some of adidas’ most groundbreaking sneaker technology, such as Soft Cell heel cushioning and Torsion system. 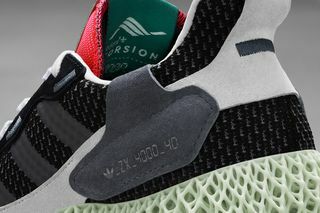 Expect both sneakers to drop globally on March 9.